Item # 314241 Stash Points: 5,195 (?) This is the number of points you get in The Zumiez Stash for purchasing this item. Stash points are redeemable for exclusive rewards only available to Zumiez Stash members. To redeem your points check out the rewards catalog on thestash.zumiez.com. 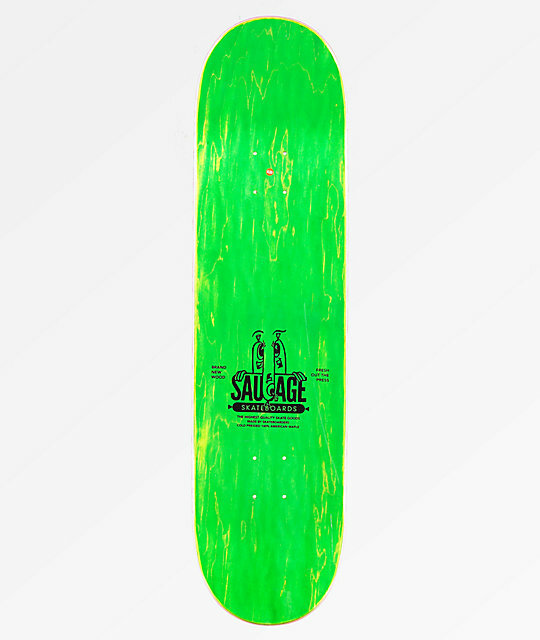 Rip up the park or the street with massive pop and premium flip tricks on the Sausage Classic Script 8.25" Skateboard Deck. This board comes complete with moderate concave for flip tricks and steep, wide kick tails for large ollies and stable stalls and slides. Finished with a durable 7-ply maple construction, this deck will last you for many sessions to come. 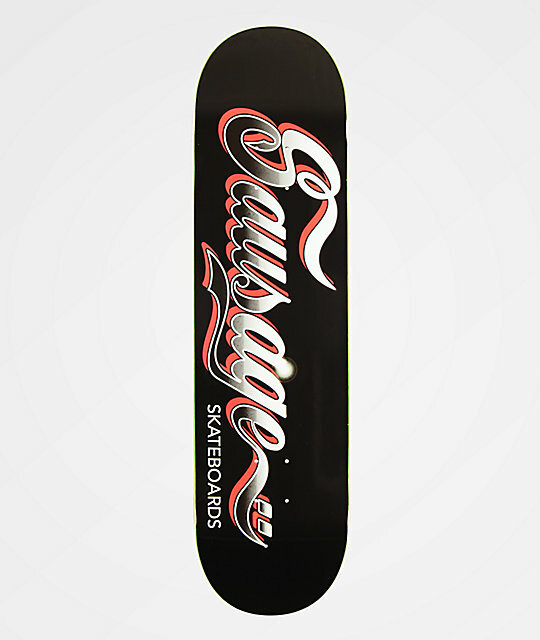 Classic Script 8.25" Skateboard Deck from Sausage Skateboards.